The 4D Meditation: Experiencing the Gospel! More than ten years ago I heard a catchy phrase associated with an Evangelical college campus ministry that still reverberates in my mind, that is: “It is a sin to make the Gospel boring.” And just recently I heard a comment about the “The Bible” TV series: “wow, I didn’t know the Bible was so interesting!” Does this strike you as much as it does me? How could it be that youth today find the Bible…boring? This has to make us mentors stop and reflect about our delivery. The Bible is not boring at all, especially since it’s true! But it does take effort to read and creativity to deliver its message to our modern youth. This is why I’d like to present you with a new method that I have tried close to a dozen times. It has been a great success, every time! It’s called the 4D Meditation. It is an activity in which a Gospel story “comes alive” by activating the participants’ imagination and senses. By closing their eyes, adult volunteers can tap into their young, vivid imaginations and sensory perceptions, thereby giving each young person the feeling that they were actually there alongside Christ! At first I wondered if 20 or more teens could possibly sit still with their eyes closed for 10 to 15 minutes. But, after explaining what they were about to experience, time and time again their cooperation surprised me! And this includes teens from various walks of life…As I read the story of that Gospel passage, they all kept their heads down and eyes closed, and were focused on using their imagination and senses to place themselves in the Gospel story. Most of the teens still remember this activity, and also this Gospel. At the end, we talked about the experience and received their feedback. They were very willing to share their comments! Some were surprised with the water being sprayed on their face, others imagined themselves in the boat, a few were actually scared… One of the 8th grade boys even said his life would never be the same! And others said it was their favorite activity of the retreat. In short, the Gospel was all but boring! Success! This particular Gospel passage was able to “come alive” right before them! I had two other adult volunteers help me with this, especially since there are cues for when to start the wind and rain and thunderstorms. It’s not hard to replicate, and I’m pretty sure it’ll be successful for you too. I’m also certain there are many other Gospel passages, stories or actual events that could be used. 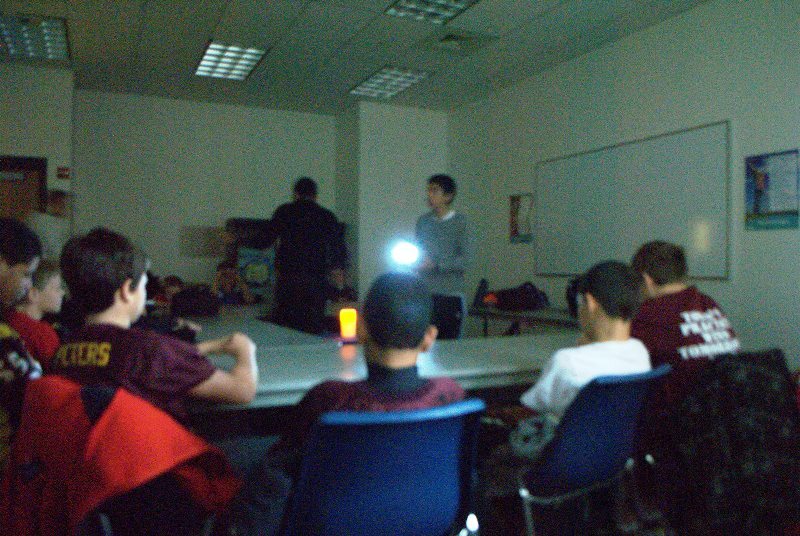 For example, we also did a 4D Meditation of the crucifixion and another of the martyrs in the middle of the Colosseum. If you liked this post, like it and share it with any youth ministers, priests, parents or other contacts you know. Help Youth2Change get the word out! Also make sure to follow us on Facebook, Twitter and Email, for more ideas and daily reflections. Thank you! Posted in ActivitiesTagged 4D Gospel, activity, christian meditation, christian prayer, creative activity, ECyD, encounter God, experiencing God, faith formation, formative activity, Gospel reflection, group activity, new architects, resource, retreats, showcase ideas, small group activity, summer camps, youth ministryBookmark the permalink. Push Ups for Snack – A Creative & Formative Way to Snack!